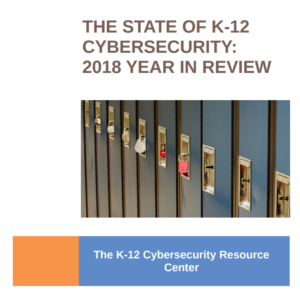 UPDATE: If you liked this post, be sure to read Hacking the ISTE18 Smart Badge, Part II. I was curious how the ISTE 2018 Conference Smart Badge worked (and I saw other questions on Twitter speculating on the same question), so I spent a couple of hours trying to hack it. I don’t claim to be any kind of expert here, but what I found (so far) was pretty interesting. Upon registration check in, the ISTE attendant first scans the unique QR code on your participant name badge (printed out along with tickets to various give-aways and events) to associate it with your conference registration record. Then, they scan your smart badge QR code and physically attach it to your name badge with sticky tape. 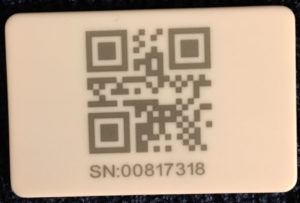 The QR code of the smart badge reports the same SN (serial number, presumably) printed on the front of the badge. As an aside, to use the conference mobile app, you need to enter a unique code, too. This allows ISTE to associate your name badge QR code, your smart badge, and your mobile app all to your registration record. With some fine motor skills, it is possible to pry open the plastic case to reveal the innards of the smart badge. Inside its case, it is mostly a standard CR2016 lithium battery, powering a Bluetooth low energy (LE) system-on-chip (SoC). 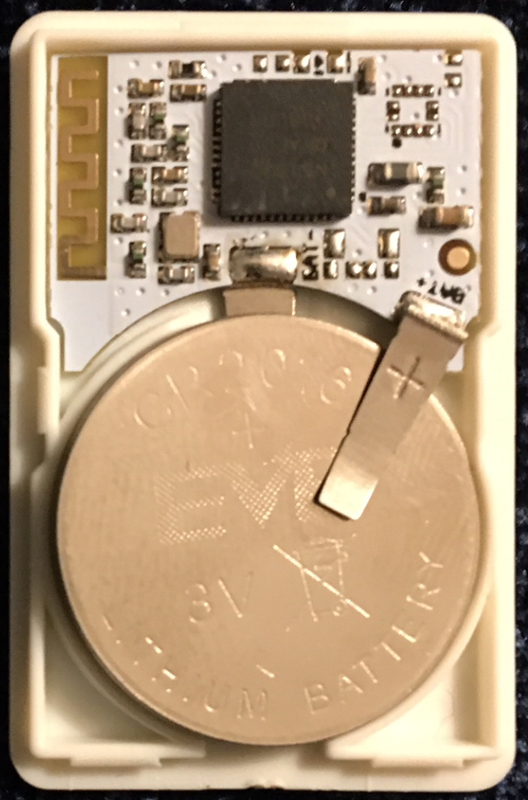 The chip is a Nordic nRF51822 and the gold scroll pattern (upper-left) is the antenna. Knowing the device was Bluetooth LE, I explored a variety of ways to communicate with it. The most straightforward was to go to the iOS app store and look for apps. With some trial and error, I found one that yielded some results: LightBlue Explorer. 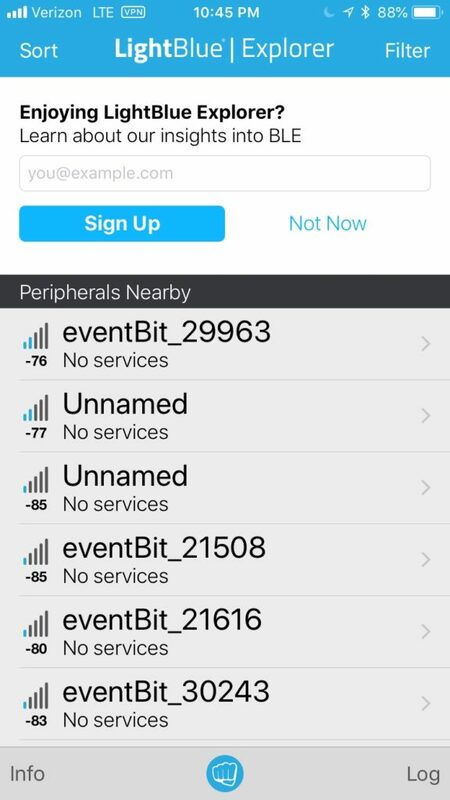 Upon launching the app, it begins scanning for Bluetooth LE devices with which it can communicate. Each badge transmits a unique identifier, including a human readable name (“eventBit”) followed by a 5-digit identifier. The 5-digit identifier is the same as the SN printed on the front of the smart badge. What else does the badge reveal? This last item suggests that the more receivers there are, the more precisely a smart badge’s location can be determined (especially if triangulation is used). Location tracking seems pretty good, but not perfect. With sufficient receivers, the smart badge should allow its wearers to be tracked within a few meters. Over the next few days, I’ll be on the lookout for the receivers to see what I can figure out about them. I feel pretty good about what I was able to glean about the badges so far (and happy that I’ve chosen not to wear mine), but any further investigations are going to have to wait for the morning.